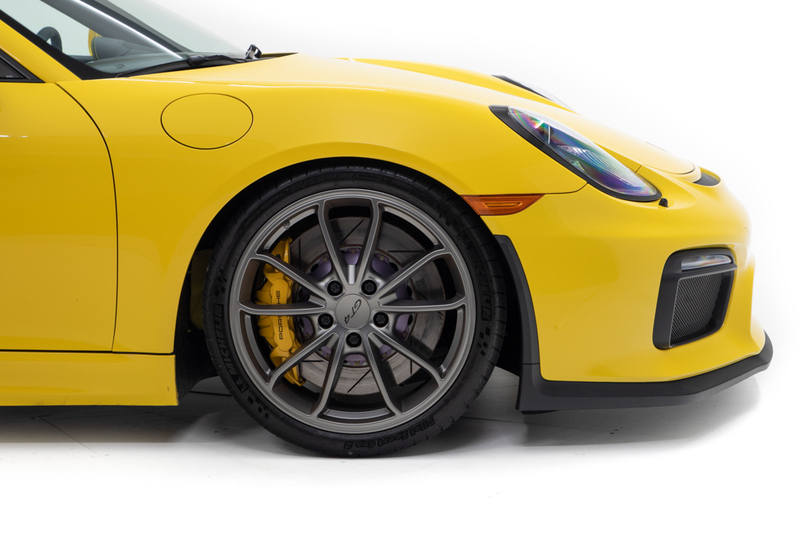 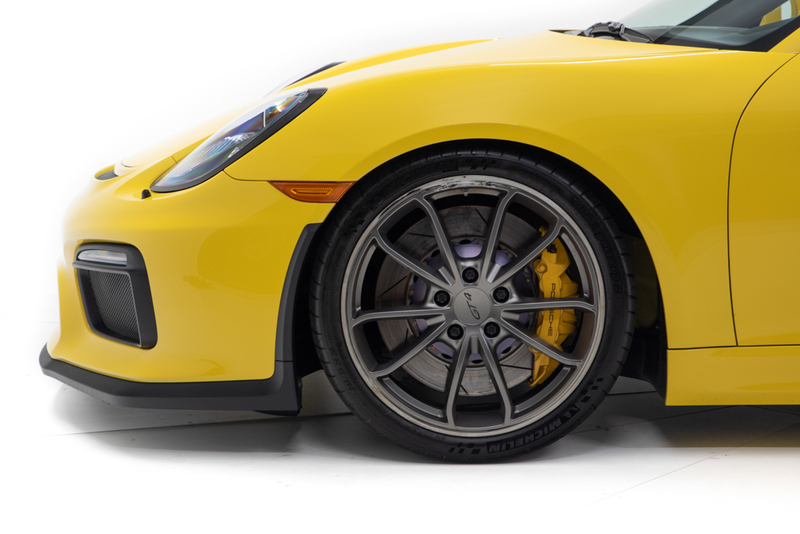 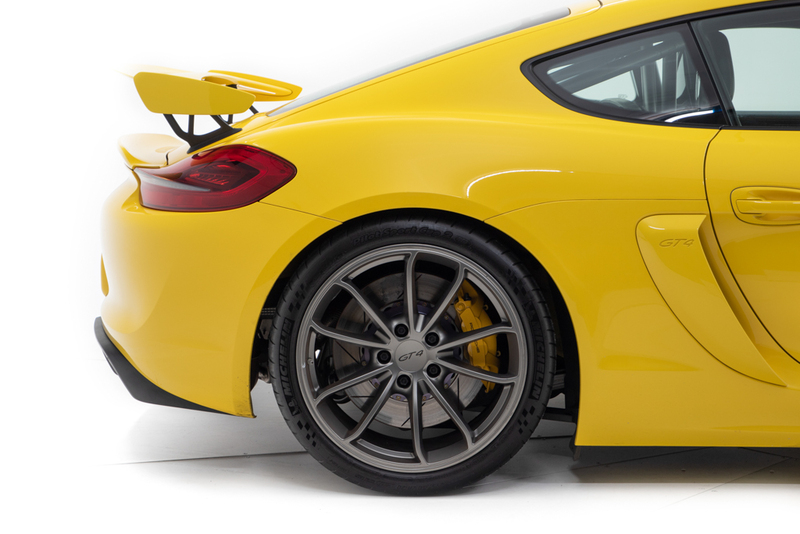 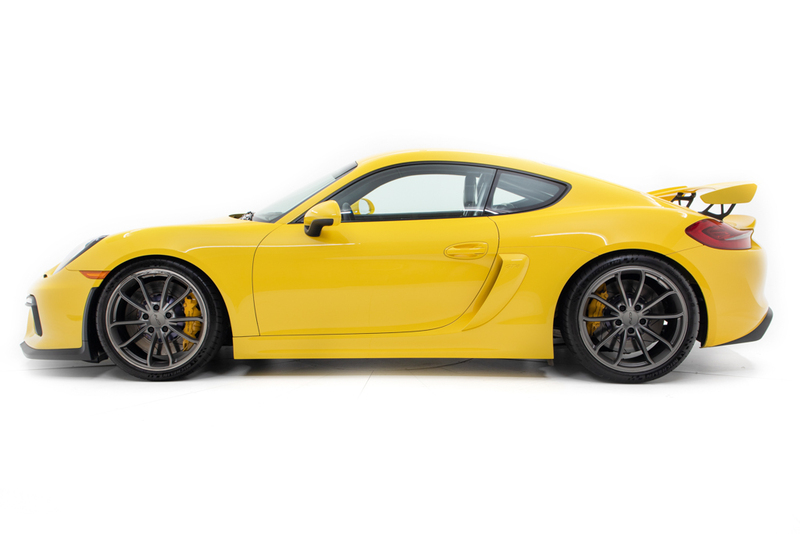 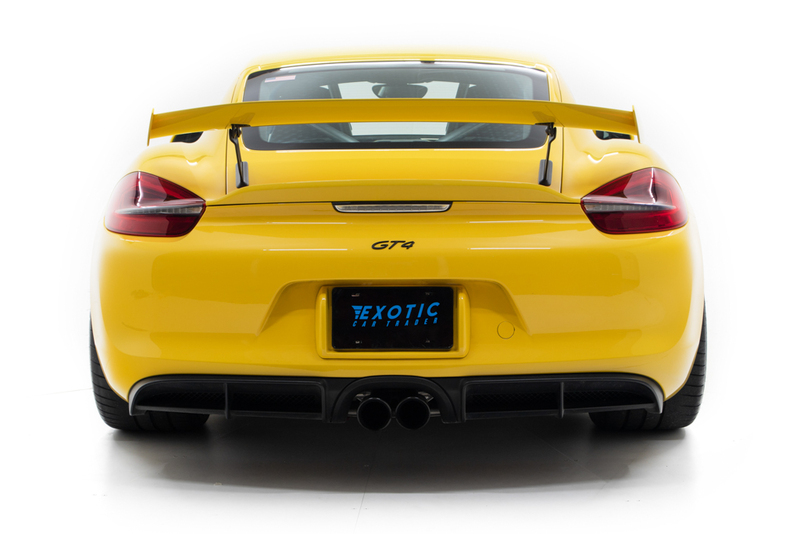 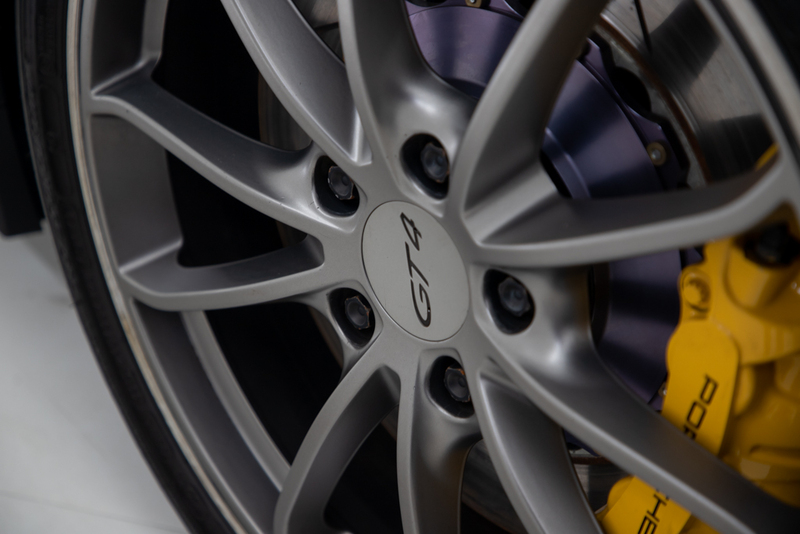 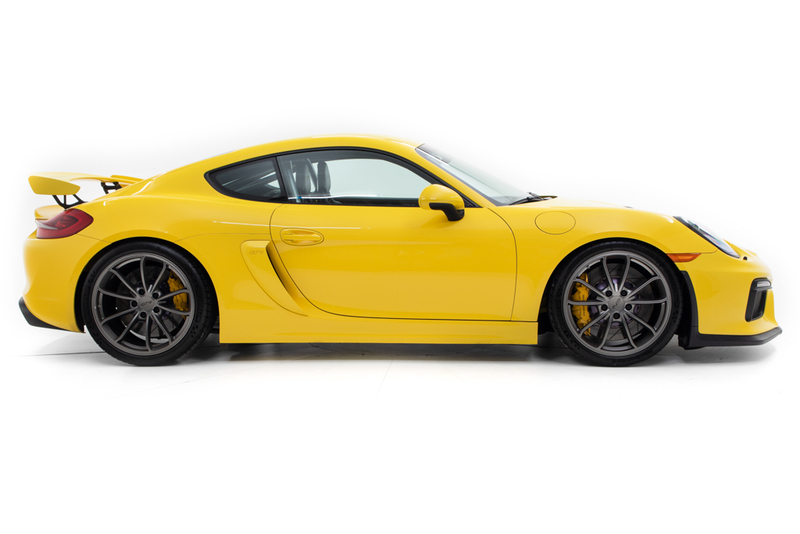 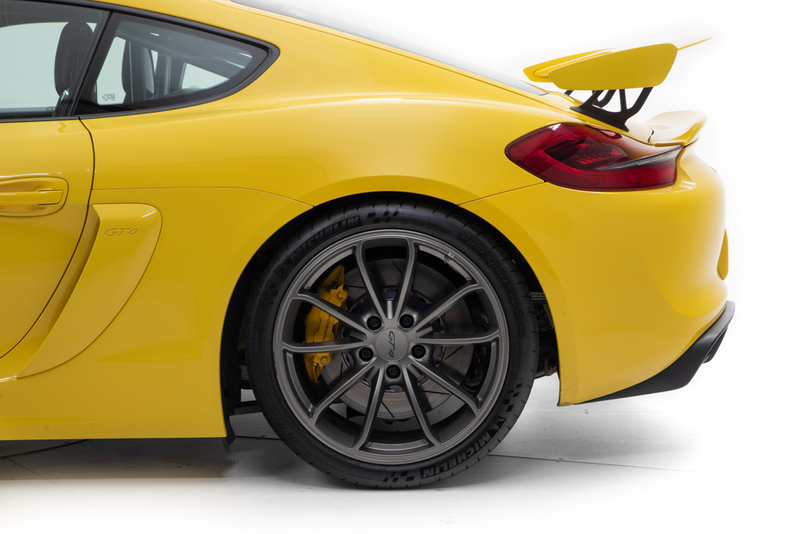 When the Cayman GT4 first debuted, it set the sports car world on fire. 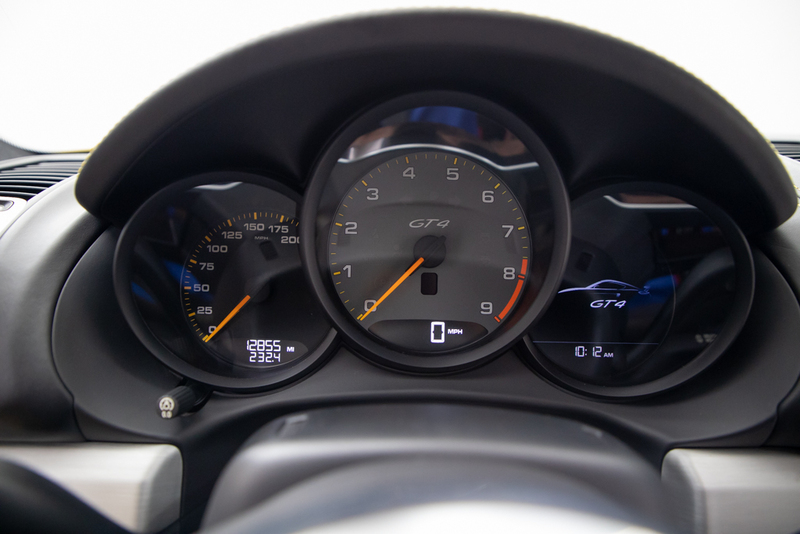 Not only was its capabilities nipping at the heels of the mighty Porsche GT3, the rumor was they had to dial it back for being too good as to not insult their legendary 911 lineup. 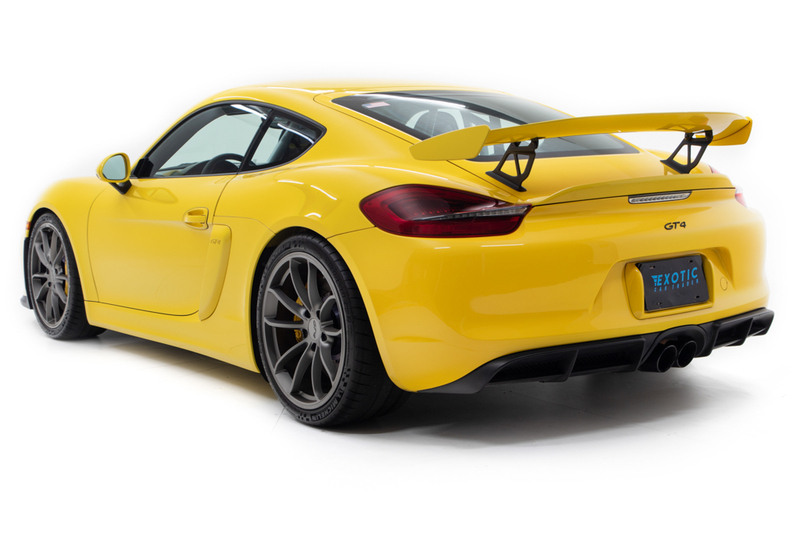 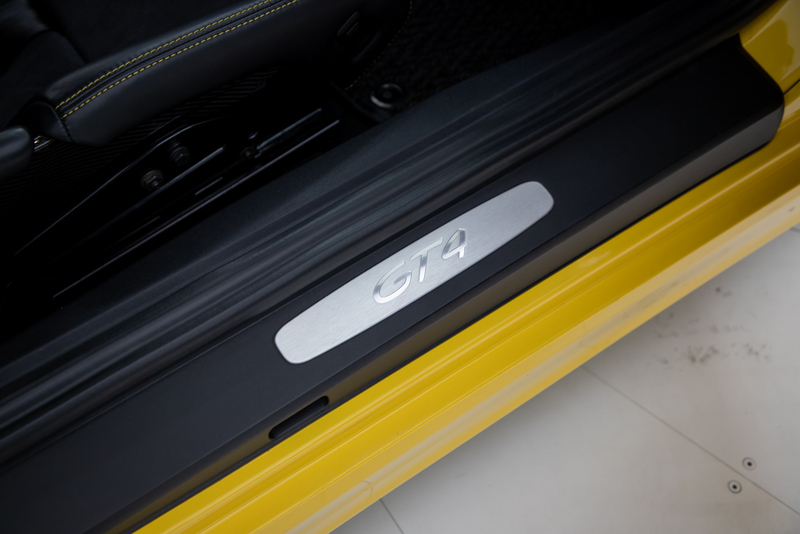 The Cayman GT4 is just that good. 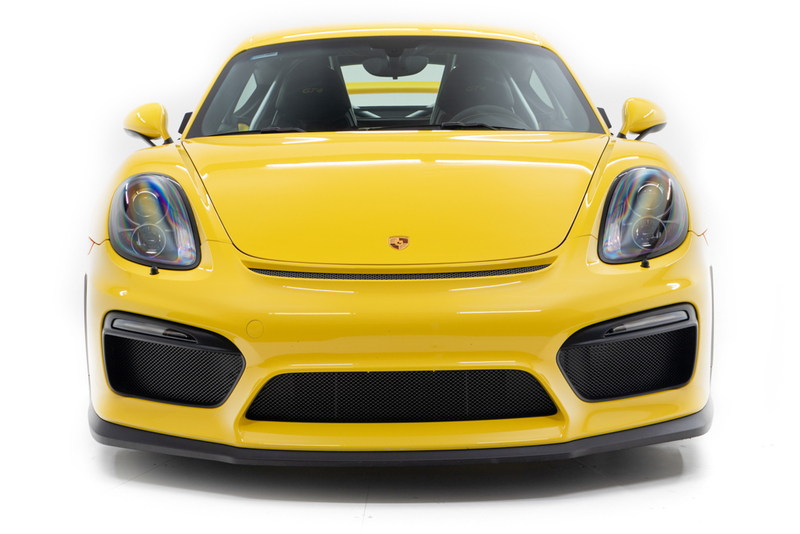 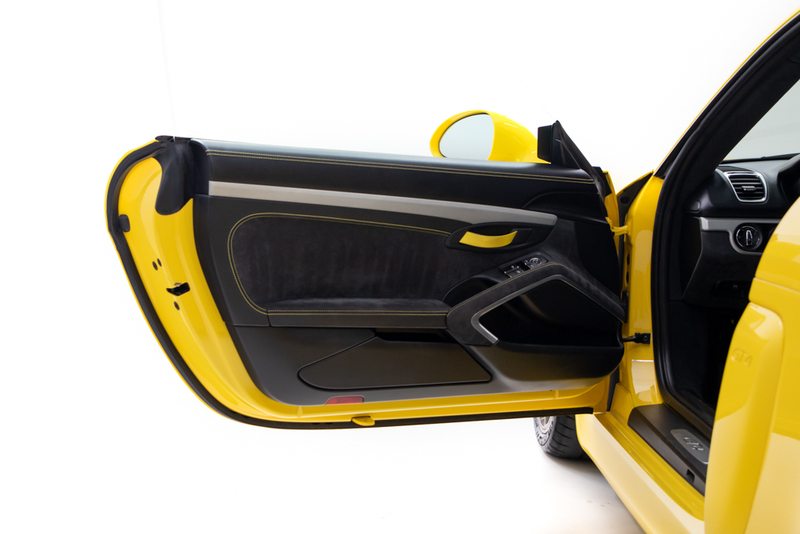 The owner states that the sleek body and bright yellow paint get noticed wherever it goes and it receives compliments on a daily basis. 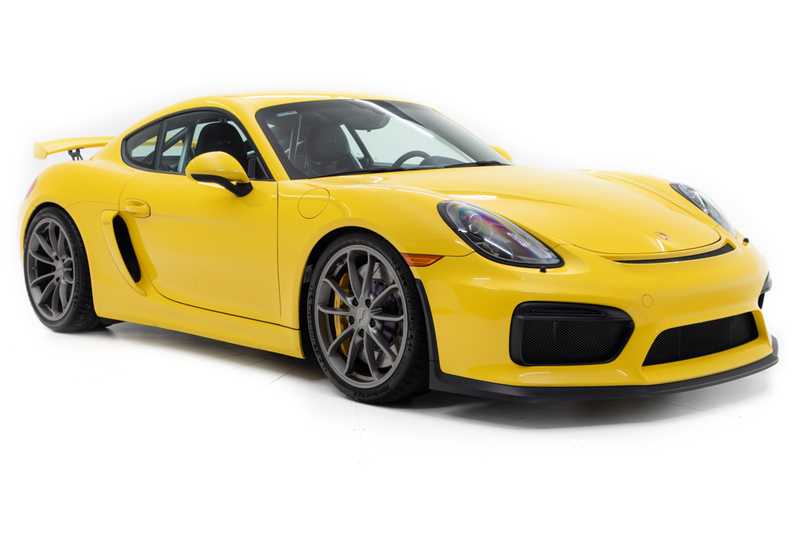 With only 12,987 miles on the clock and one careful owner, this clean Cayman GT4 is worth a test drive and is thousands off new MSRP. 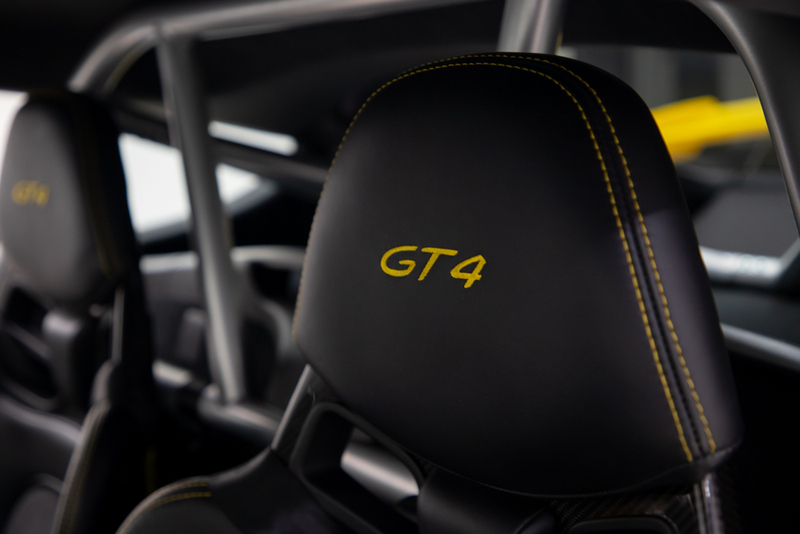 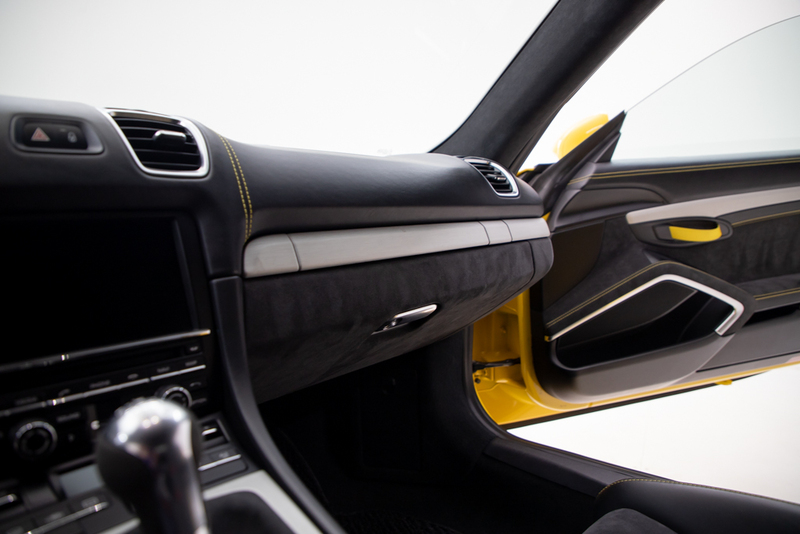 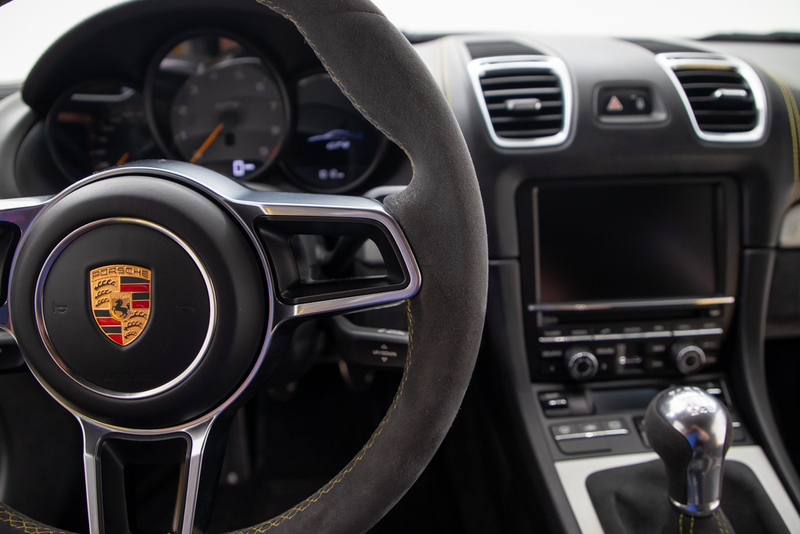 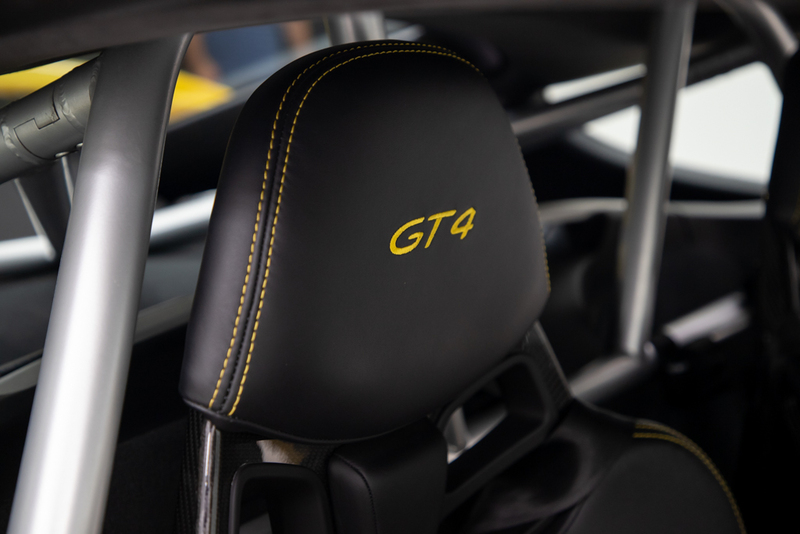 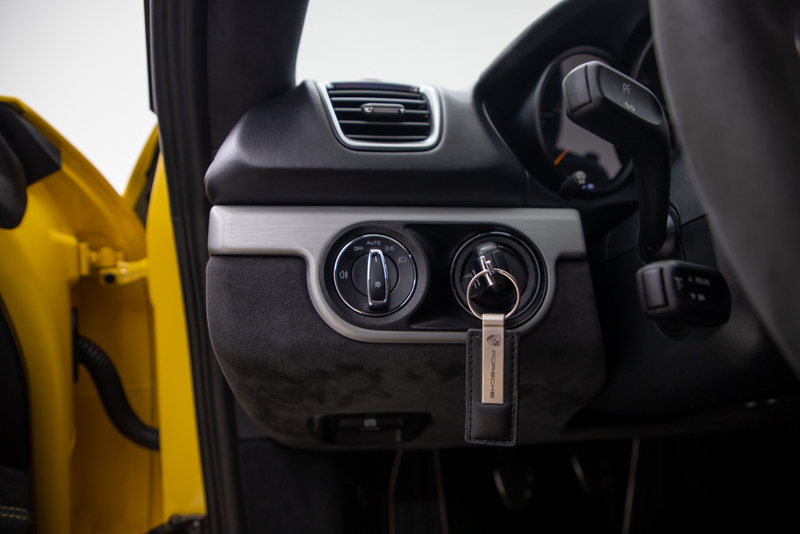 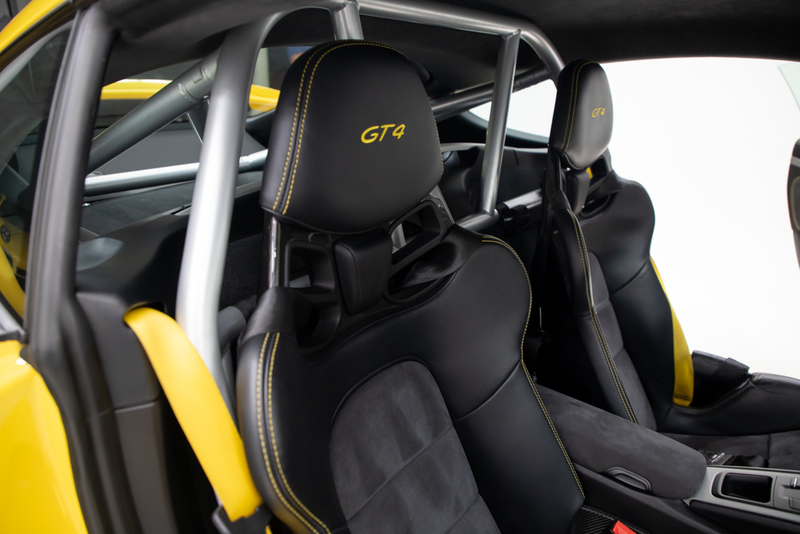 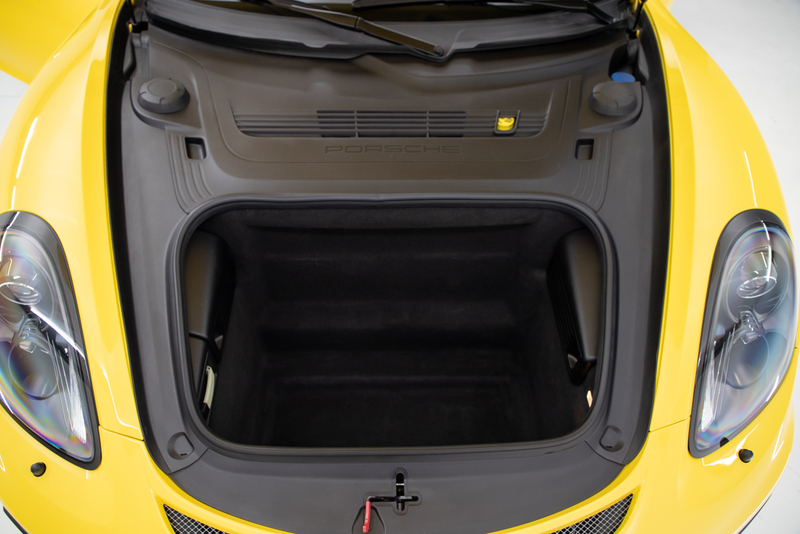 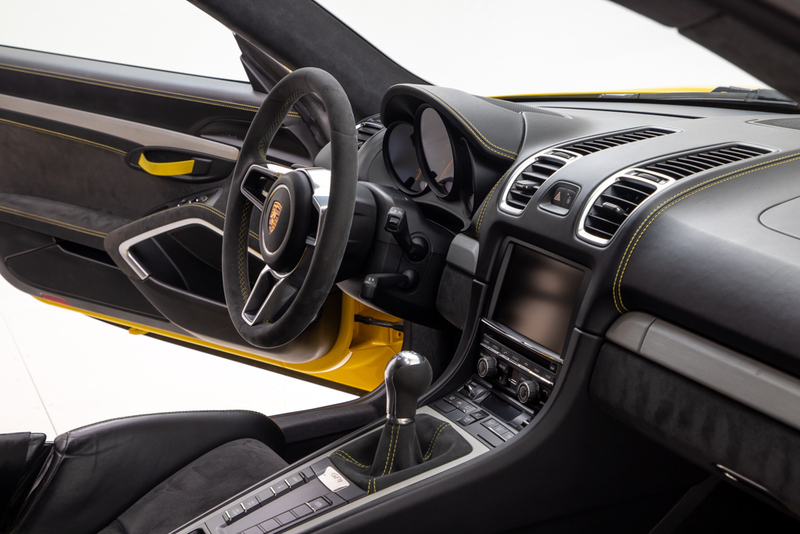 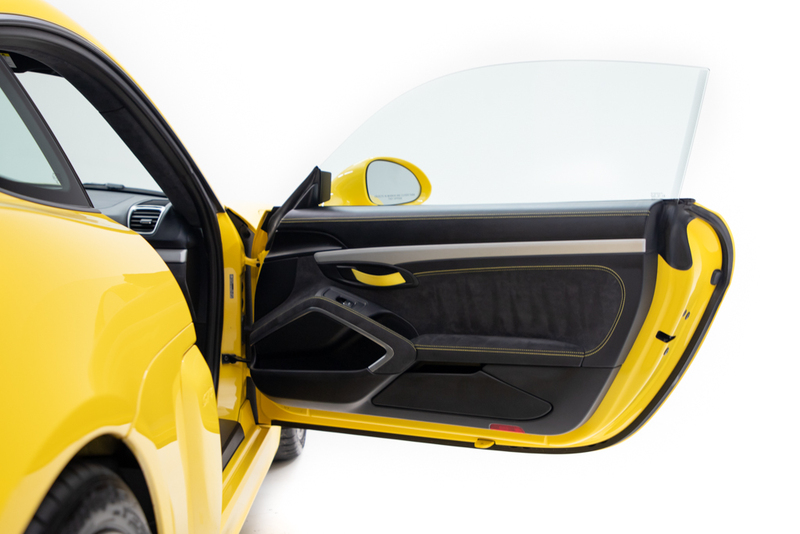 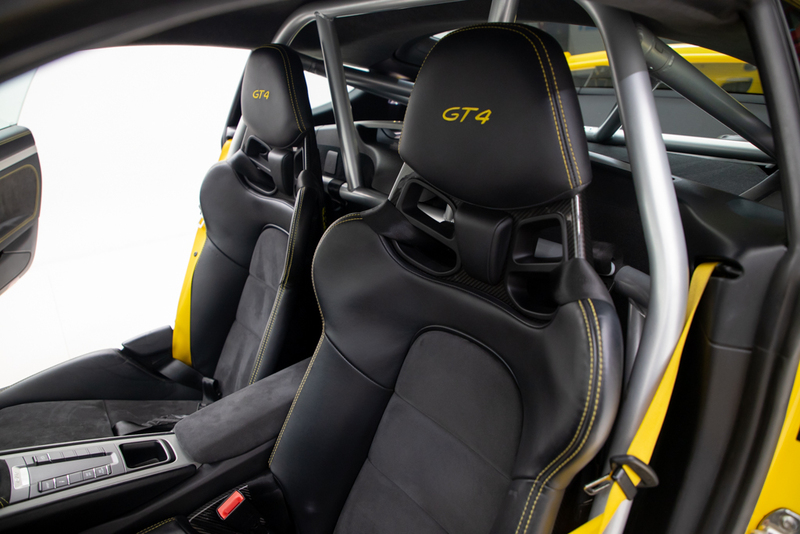 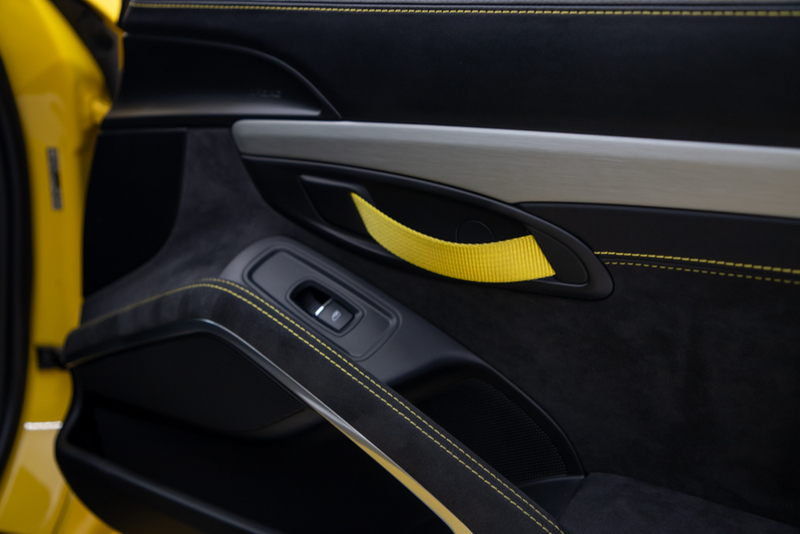 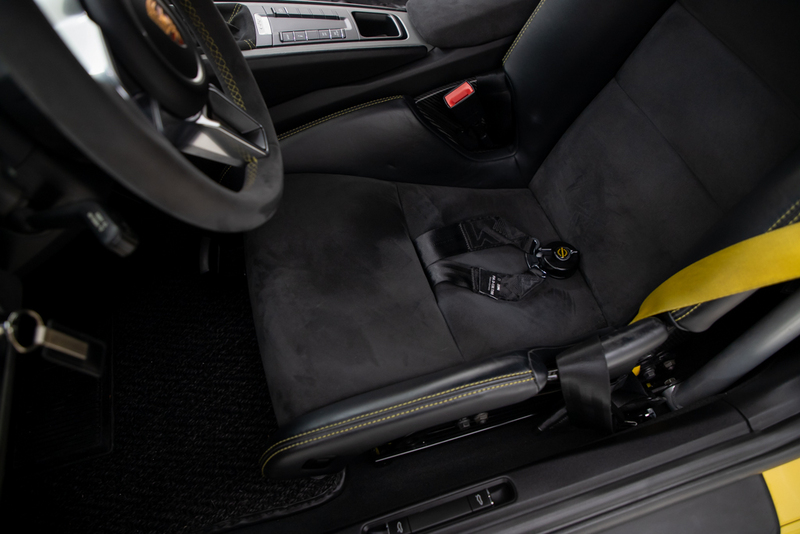 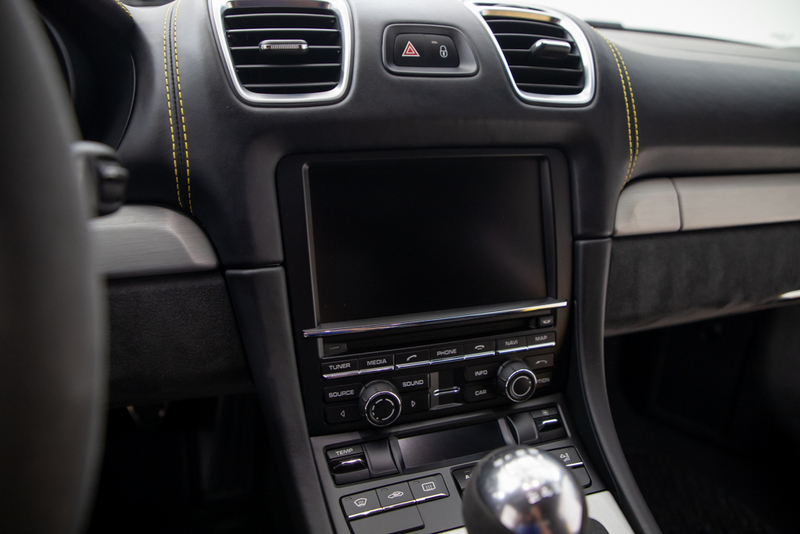 Inside the cockpit we find carbon fiber racing seats and racing harnesses for those that want to get serious with this Cayman GT4. 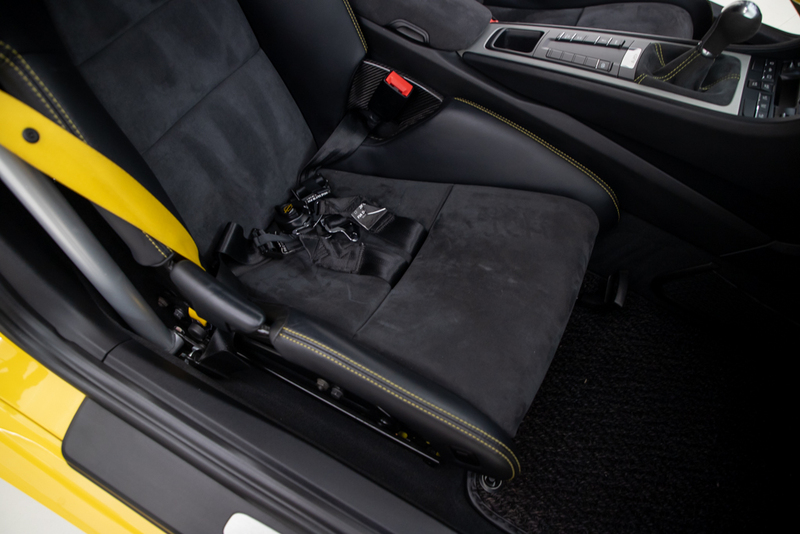 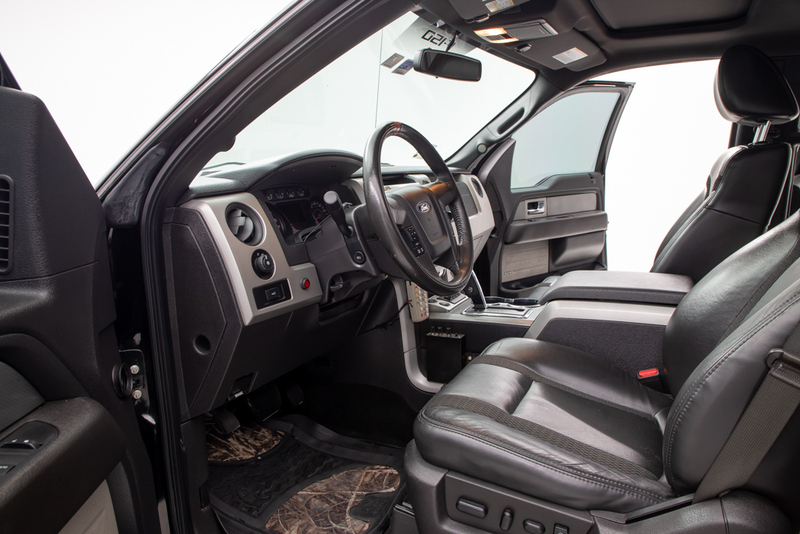 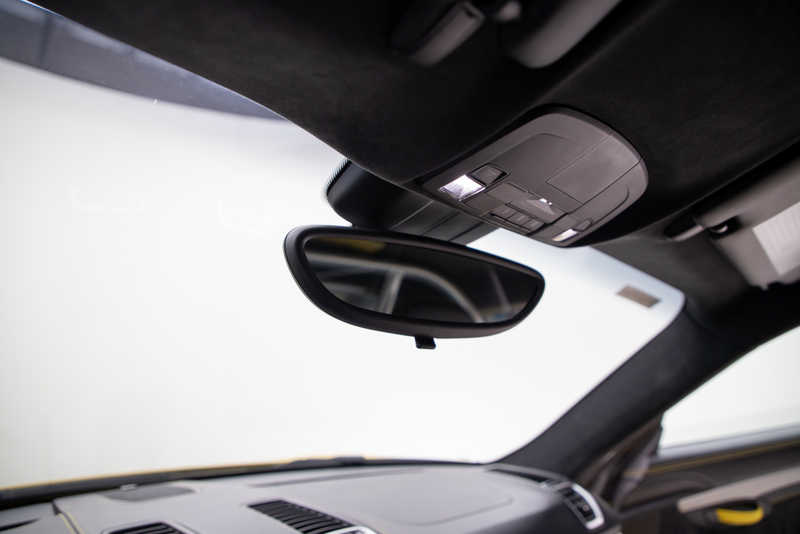 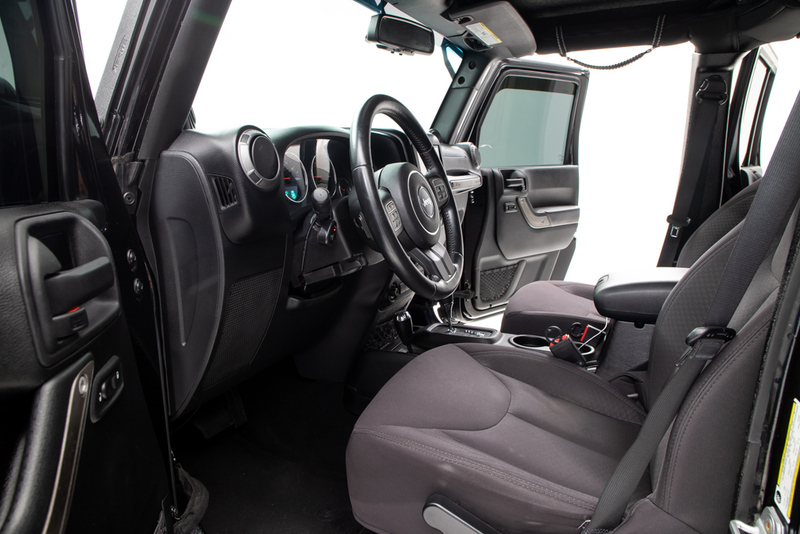 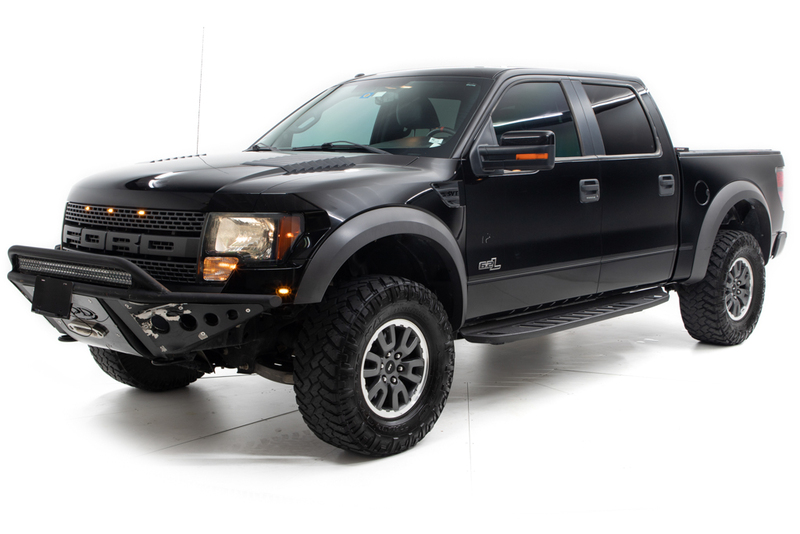 A custom roll cage has been added for increased safety and a more stiff chassis to tackle any turn. 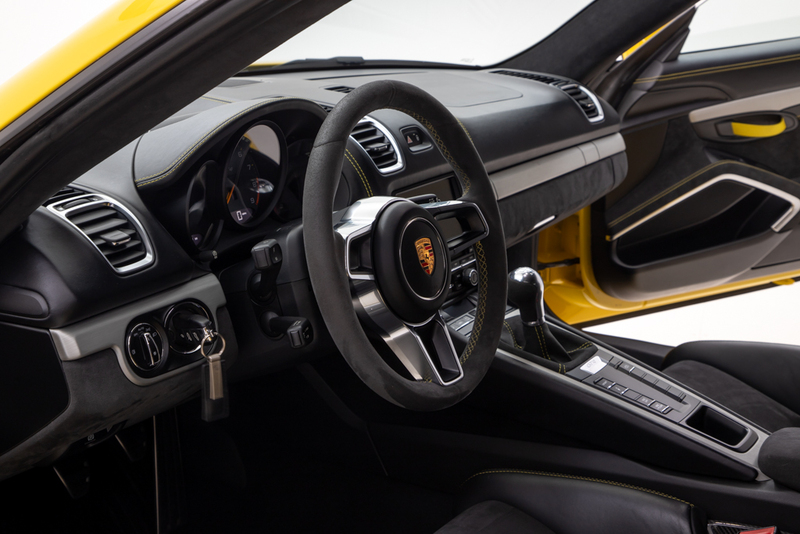 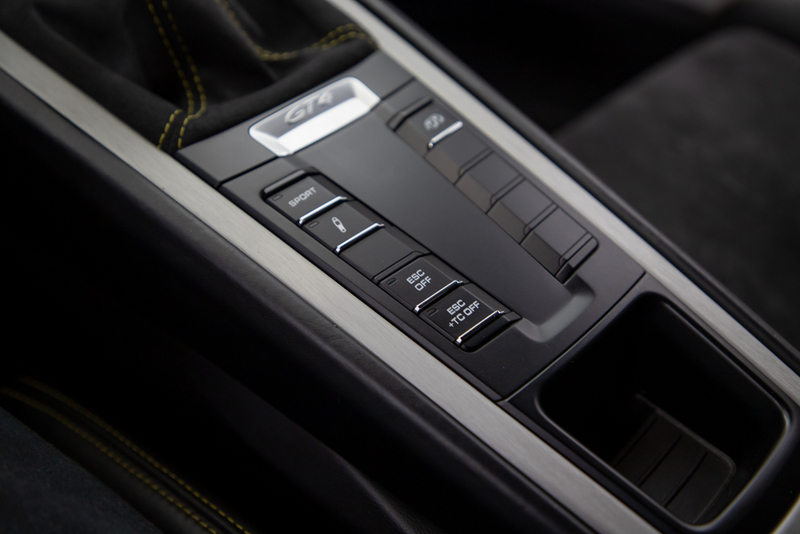 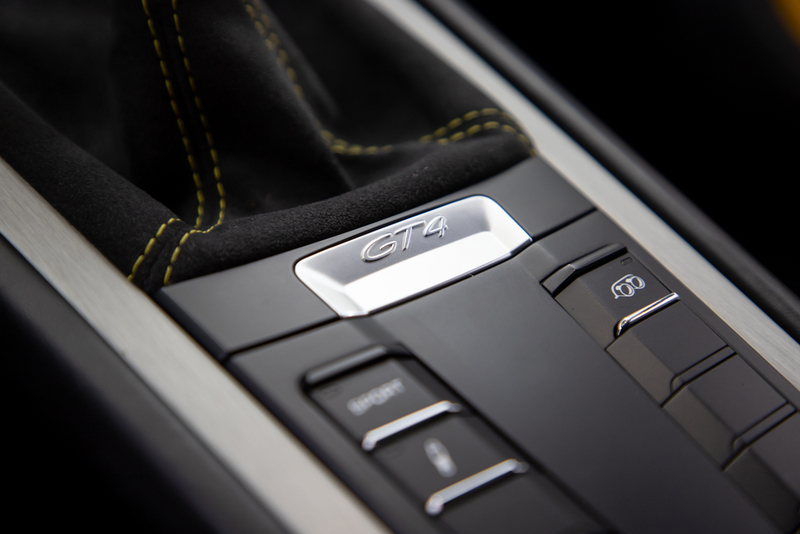 The power comes via 3.8L flat-6 mated to Porsche’s fantastic 6-speed manual transmission producing 385 horsepower with 309 lb-ft of torque to push this mid-engine rocket around with speed. 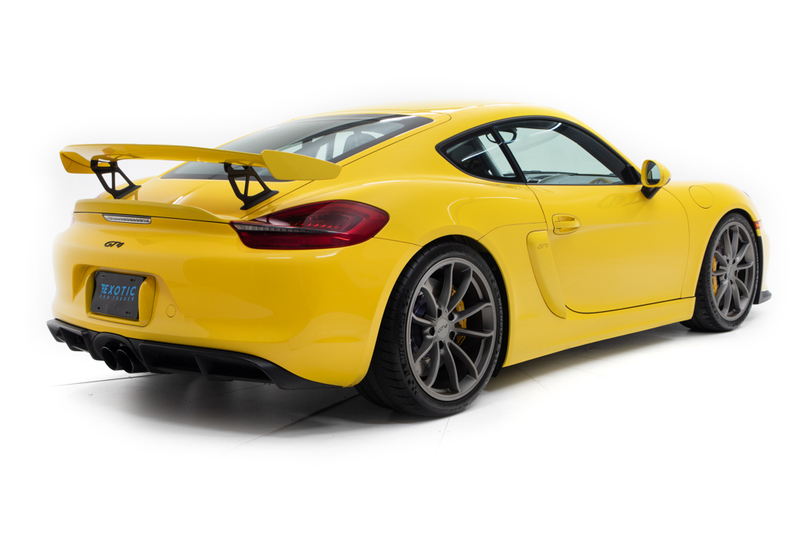 We’ve test driven this Cayman, it sounds great, feels great and is outstanding around the corners with sharp turn-in and crisp braking. 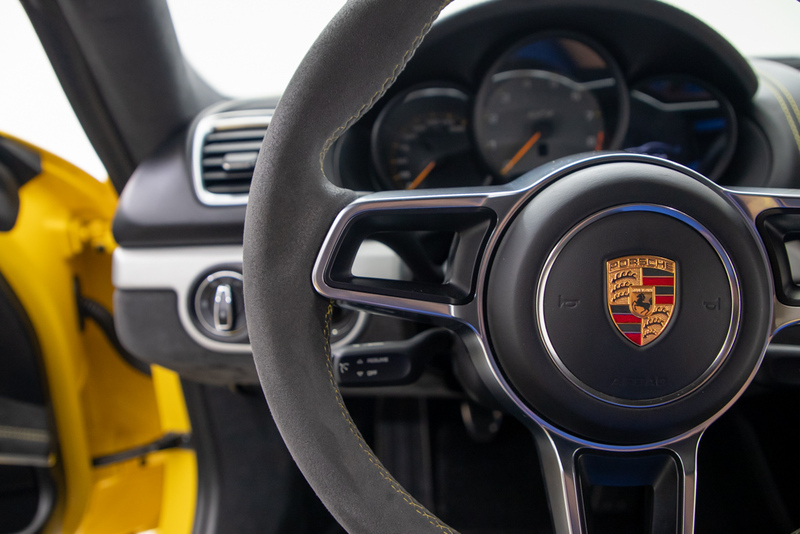 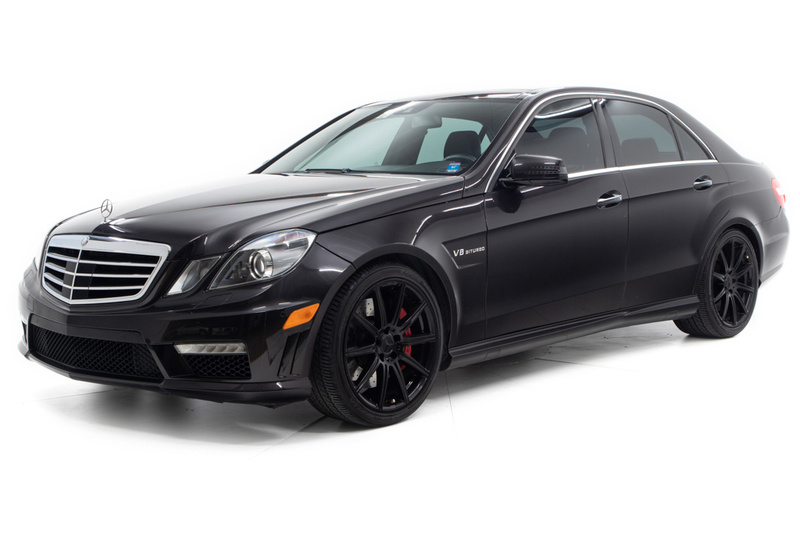 Definitely not your average mid-engine car experience for the price. 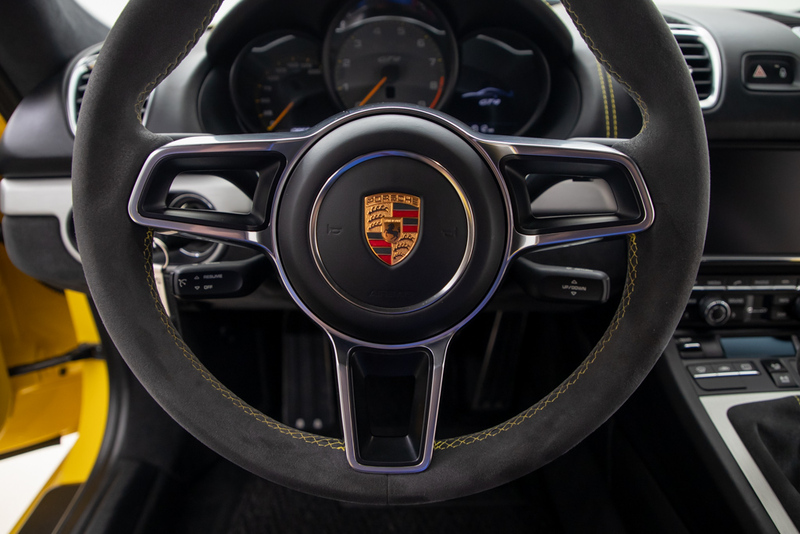 - Call For a Walk Around Video!